← Avez-vous reçu un appel de ‘Inmobiliaria Sevilla’ faisant une offre pour vendre votre multipropriété à HONDA? 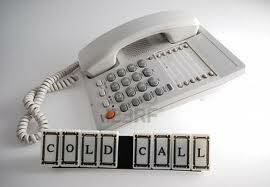 Another month has gone by and another month filled with active cold callers and apparent new companies. In the month of October 2014 we counted the activity of 102 companies and among these there were 26 New Companies or new company names. The fight against fraud in and around timeshare is continuing. And the fact that our warnings and blog articles are making a difference can be noticed by the reaction of a lot of these “bogus” companies who continue to speak badly about Mindtimeshare or continuously change their name so they cannot be detected. Thanks though to the alert Timeshare consumers who write to us as soon as they receive a cold call, we are able to elaborate an updated list and place warnings as soon as we hear about a dubious company. Good news in October as well about a police intervention in Gran Canaria where offices were raided from a dubious set up who was working under several different names. We posted an article about this in various languages as these companies were targeting different European Consumers. If you have any information about any of the companies mentioned on our cold caller list, or maybe if you have been called by a company not mentioned but with an offer related to your timeshare, then please let us know. And don’t forget that if it sounds too good to be true it most probably is! This entry was posted in Warnings and tagged Mindtimeshare, timeshare consumers. Bookmark the permalink.